If you’re trying to kick the nicotine habit, you’ve got to have some support. This support can come from being accountable to friends and family, eating the right foods to fight cravings, or something like meditation. Interestingly, exercise is often touted as a way to reduce nicotine cravings too, but researchers say the effects of exercise on smoking are complex. As reported by ScienceDaily, the effects of exercise on smoking have been difficult to document. Studies show that it works in lab experiments but “fizzles out” in treatment trials. One researcher says the reasons why are apparent—because the benefits are short-lived and must be repeated. “What we found is that although there is no chronic effect of exercise on cigarette cravings and affective withdrawal symptoms, there is an acute effect that diminishes over a period of several hours to 1-2 days, but can be renewed with each bout of exercise,” said David Williams of Brown University. He says exercise is a useful treatment strategy in combating nicotine addiction, but you can’t just do it a few times a week—you’ve got to really work to reap these perks. In their research, Williams and his colleagues found that women did experience better mood and lessened cravings following a workout. But by the time they were ready for their next workout, those benefits had dissipated. How long before the benefits wear off is something Williams hopes to identify in future studies. For now he says that it’s clear the benefits of a workout in relation to reducing cigarette cravings don’t last even a few days. So, what does this research mean for you? 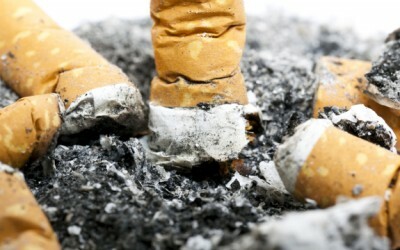 That exercise is not a magic, one time bullet, but it can be included with other quit smoking tips. It’s something that must become a regular practice. Even when talking about exercise unrelated to quitting smoking, we know that you’ve got to do it regularly. Weight loss, heart health, and stress reduction won’t be achieved with a single workout—it takes time and dedication. In addition to a regular workout plan, you can practice deep breathing and meditation, practice healthier habits like increased vegetable consumption, and stay accountable for your smoking cessation journey. And if you need some motivation to quit, check out this post outline what happens when you quit smoking – the long and short term benefits. Smokers who are trying to quit might want to take a jog the next time a cigarette craving overtakes them, a new research review suggests. Certainly, exercise seems to have temporary benefits, and as such can be strongly recommended. Still, the researchers say that if getting on your bike helps you avoid lighting up, do it. Researchers found that a bout of exercise generally helped hopeful quitters tamp down their nicotine cravings. Whether that all translates into a greater chance of quitting, though, is unclear. Does anyone here actually smoke? I do not even know anyone who still smokes. They all either quit, or they died. One reason for the rejection of nicotine cravings could be due to the increase of oxygen level in the body which results from exercise (especially AEROBIC exercise). This oxygen cleanses the lungs and detoxifies the system – which has a natural rejecting effect on the cigarette smoke coming in, in addition to the endocrine changes which release endorphines which offset the cravings as well.